THANK YOU so much for the belated charming birthday gift, ! Ralph knew I really loved the global jewelry brand founded in Denmark because of the superior quality and superb craftsmanship, but he didn't know the exact piece I wanted so he took me to the store to pick out what I like. 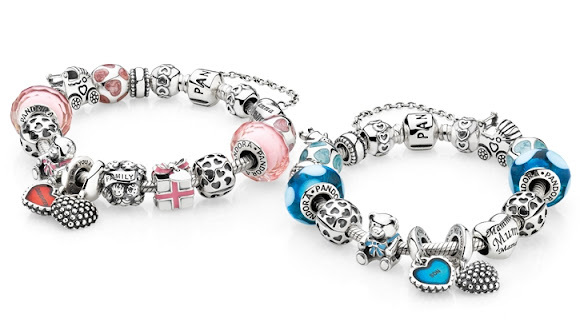 Pandora's "Showered with Love" clip charm and "Stardom" clip charm - the two clip-on charms that I chose to cover the two center threads on the bracelet, to make styling more workable and to keep the charms from sliding all over the bracelet. Beside the one-year warranty on all bracelets and charms, any jewelry item purchased from Pandora would get free lifetime cleaning at any of their outlets and they also gave me a polishing cloth for free. So I found the bracelet that was screaming my name, and at the same time wasn't whispering Ralph you'll be broke after this. Hehe. 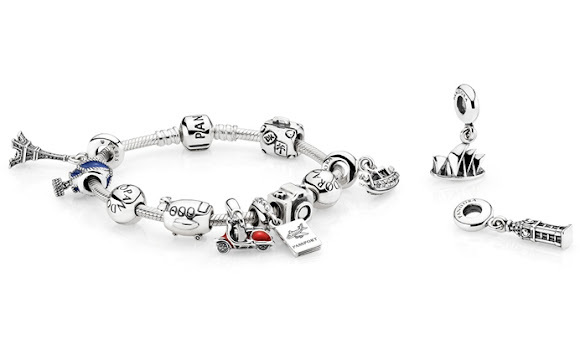 However, the finished piece can cost thousands, considering that once you buy a Pandora bracelet, you can't stop buying charms to fill the bracelet! I've always loved bracelets especially the one that allows me to be able to tell a story with my jewelry. 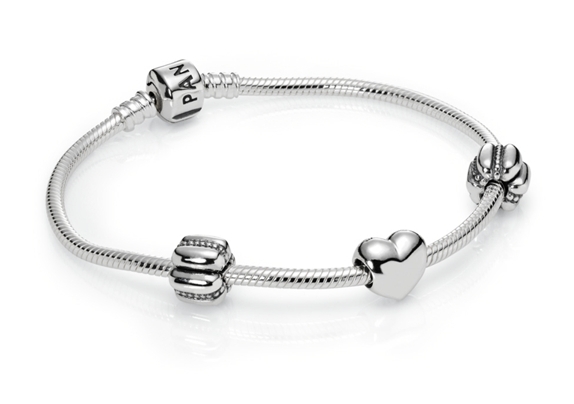 With the unique bracelet concept, you can add a chapter to the story of your life with those charms, each one representing an unforgettable moment or an aspect of your personality but the number of choices can make choosing charms and building a bracelet overwhelming in the beginning! We walked into the store at Tropicana City Mall last Saturday evening and the staff were all very friendly and patient, contrary to what I've heard (arrogant and rude customer service). 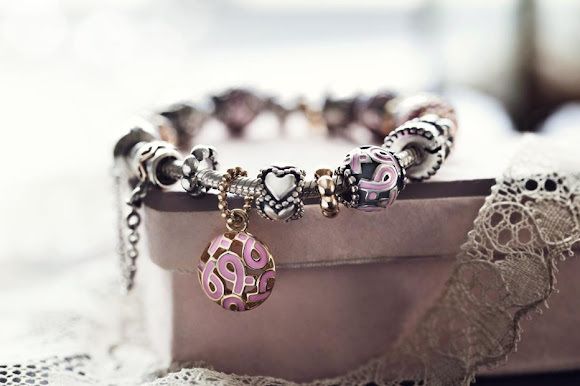 They suggested me to browse the selection of more than 600 genuine charms ranging from whimsical themes to elegant designs on their website first and get a general idea of how to style a Pandora bracelet. Uh-oh, looks like this new fascination with them has me very excited with a huge wish list! It's strange... as I get older I definitely feel like Chinese New Year (CNY) gets less festive and very un-CNY like, but the best thing is that I really love the simplicity of it. Every Chinese family celebrates CNY differently. Some say, "This is what CNY should look like. This is what you must do. This is what you mustn't do." No offense if you love it, it just sounds exhausting. Well, I've never really learnt the meaning behind traditions as my family isn't big on tradition. Not only we don't follow centuries-old traditions, we also don't abide by a set of beliefs and superstitions to start off the year - our maid swept the floor on the first day of CNY and I washed my hair too. Didn't wear red and didn't even bother dressing up or wearing makeup, loll! No matter what, we will still celebrate it. My siblings and I will still fly back home to spend quality time with our King and Queen. CNY, to me, is associated with family - the people who you have to be with this festive season, and it's time when relatives and friends visit each other. 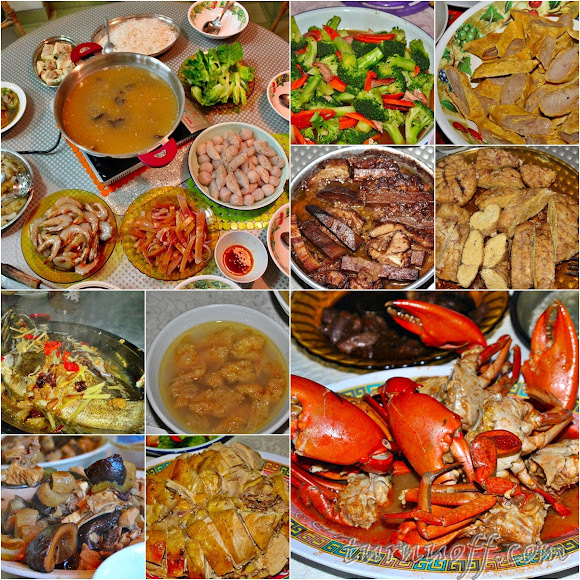 When we go back at any time of the year, our dining table is overflowing with delicious home-cooked meals, not just during CNY. It may surprise you to know this, but we never tossed and ate yee sang growing up - I guess over that side of the country, it's not really our thing and I'm in fact not very fond of it. I wonder if it's a Cantonese or Hokkien thing, traditionally. First time trying Peking duck from Kuching, Sarawak and it's the best I've had so far! As always, weather is scorching hot this time of year in Tawau, so we prefer to stay at home and not be exhausted. After a wonderful two weeks of rest (I slept a lot as my parents let us sleep till noon hehe except on Sundays as we've to attend church, the worship service starts at 9.30AM! ), bombarding myself with snacks while watching TV, getting pampered and total disconnect, I felt a lot like Garfield! Anyway, I'm feeling very positive for the year of the horse and hope you're too. Neigh-h-h-h!